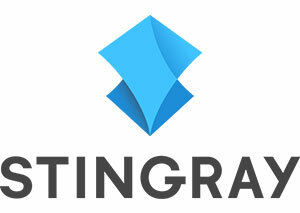 Stingray Digital Group has announced its intention to acquire Newcap Radio owner Newfoundland Capital Corporation for $506 million, including the assumption of net debt of approximately $112 million. Subject to regulatory and shareholder approval, Montreal-based Stingray will pay $14.75 per share, payable in a combination of cash and Stingray shares. 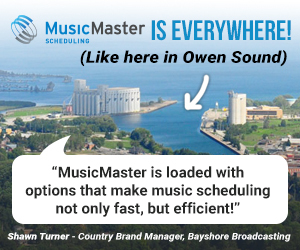 Headquartered in Dartmouth, NS, Newfoundland Capital is the second-largest radio licence holder in the country, employing about 800 radio professionals. 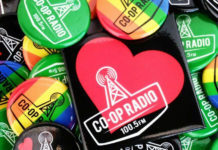 Newcap’s 82 FM and 19 AM radio licences would mark a major addition to Stingray’s lineup of specialty television channels and multiplatform music and video services. Going forward, the Steele family would hold five per cent of the merged company with Newcap president & CEO Rob Steele remaining on the Stingray board. 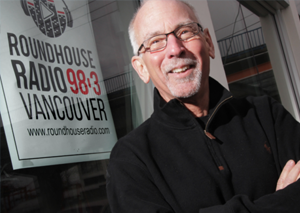 Roundhouse Radio (CIRH-FM) Vancouver will remain on the air for now as its board of directors negotiates with a tentative buyer. CEO Don Shafer tells Broadcast Dialogue that the board has decided to keep the station up and running while the process moves forward. 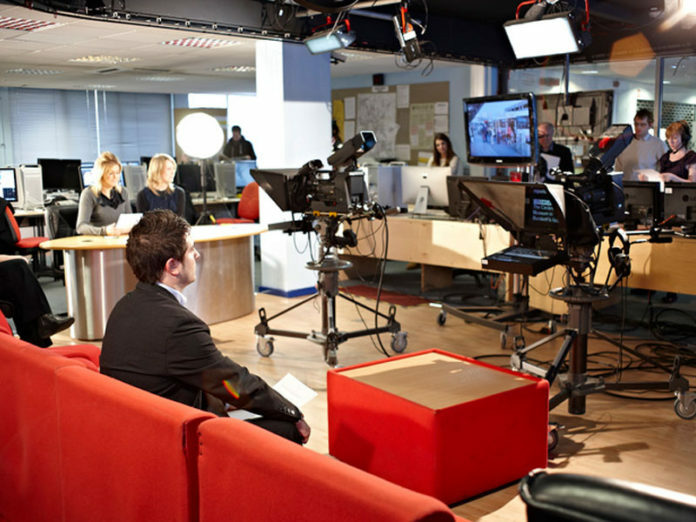 The independent, community-focused news/talk station had been set to go dark Apr. 30. The Aboriginal Multimedia Society of Alberta has begun testing its new Calgary signal at 88.1 CJWE-FM. Set to launch in mid-June, the station will feature programming in Blackfoot, T’suutina, Nakoda and Cree as well as a range of music from country to hip hop to traditional Indigenous. 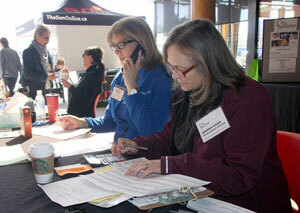 The station will also host province-wide radio bingo on Monday, Thursday and Saturday nights. Maureen Holloway is the 2018 recipient of the The Rosalie Award from the Radio Trailblazers. A fan favourite on the Toronto airwaves, after longtime stints at Mix 99.9 (CKFM-FM), then Q107 (CILQ-FM), she is now one half of Darren and Mo on 98.1 CHFI-FM. 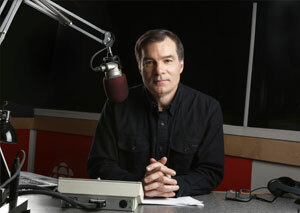 Holloway is also familiar to listeners as host of nationally-syndicated entertainment feature The Last Word, now rebranded as Other People’s Business. Holloway will also moderate a panel during Canadian Music Week entitled The Future is Female addressing the #metoo and #timesup movements. 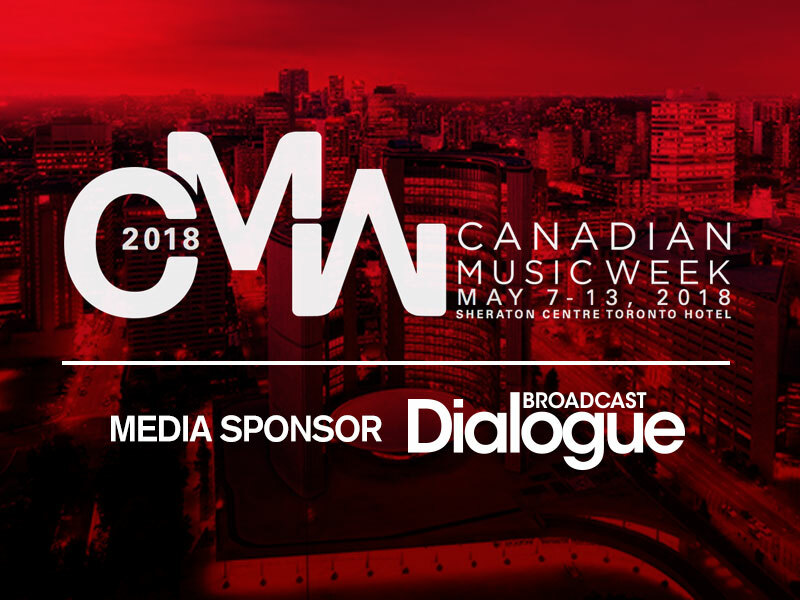 Any CMW delegate can take in the May 10th panel featuring media exec Denise Donlon; Julie Adams, SVP Rogers Radio; and Susan Marjetti, CBC’s executive director of radio/audio, among others. CMW Radio panels on May 10-11 will include The Top-of-the-Top Executive Session which will hear from Caroline Beasley, CEO, Beasley Media Group, USA; Julie Adam, SVP Rogers Radio; Mark Redmond, president & CEO, SiriusXM Canada; Rob Farina, head of Radio Content, Strategy and iHeartRadio, Bell Media Radio; and Troy Reeb, senior VP, News, Radio and Station Operations, Corus Entertainment. Programming the Unexpected: When the Outside World Tears Up Your Prep will feature Bobby Bones, host of The Bobby Bones Show, USA; Drew Savage and Nat Hunter (CHQM-FM); and Josie Dye (CIND-FM). 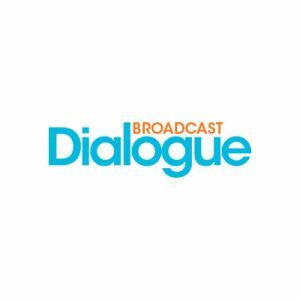 Broadcast Dialogue publisher Shawn Smith will moderate Public Image, Unlimited: The Station-Message Workshop featuring panelists Al Ford, National Format Director, Rogers Media; Sherri Drewe, Sonic 102.9 (CHDI-FM) Edmonton; and Trevor Shand, sound design/production director, Rogers Radio. Find the complete agenda here. Matt Galloway, host of CBC Radio’s Metro Morning in Toronto, has won the 2018 Harry Jerome Media Award. Named for the African-Canadian track athlete and advocate, the award is presented by the Black Business and Professional Association. Galloway, who has been working at CBC Radio for more than a decade and took over Metro Morning in 2010, accepted the award in Mississauga on Saturday evening. He has previously won the African-Canadian Achievement Award for Excellence in Media, as well as the Excellence In Community Service Award from, the Intercultural Dialogue Institute, among other accolades. Golden West Radio’s stations in Estevan helped raise $104,615 for the St. Joseph’s Hospital Foundation during the Radiothon for Life on Apr. 18. The total includes a $50,000 commitment from a family to purchase the naming rights for the chemotherapy department of the hospital, which will undergo expansion and relocation. The remaining $54,615 will go toward the purchase of capital equipment. 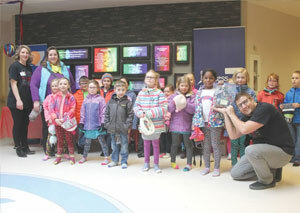 Sun FM (CICF-FM) Vernon personalities Brian Martin, Betty Selin and others helped raise $93,602 for the Vernon Jubilee Hospital during the 12-hour Have A Heart Radiothon on Apr. 26. Funds raised will go toward a new pediatric oncology treatment room. 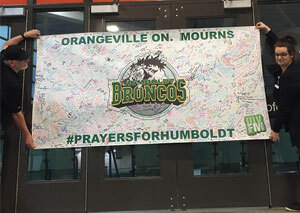 101.5 myFM (CKMO-FM) Orangeville, ON and Sign Needs Orangeville have delivered a banner signed by the community to Humboldt, SK. Containing hundreds of messages of condolence, the banner arrived at the Elgar Petersen Arena over the weekend. Edison Research has released The Infinite Dial: Heavy Radio Listeners which finds that 20 per cent of the biggest radio users already own a smart speaker. 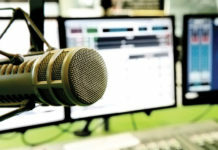 The report looked at the 30 per cent of the American population, ages 12 and over, who are “Heavy Radio Listeners” or those who listened to more than one hour of radio in the previous day. The study found 82 per cent of those listeners have a radio in their home, which means nearly 18 per cent achieved ‘heavy’ status through in-car or at-work listening. View and download the complete report here. 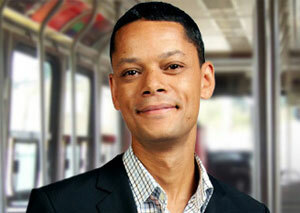 CBC Vancouver launched a new original podcast on Monday, hosted by CBC Radio One’s Stephen Quinn. SOLD! explores the role of foreign investment in Vancouver’s housing affordability crisis and the divisive effects that has had on the city and province. TVA Group has announced its intention to acquire the Serdy Média inc. and Serdy Vidéo inc. group of companies for $24 million. TVA says the deal will allow it to further diversify the content it offers Quebec viewers by adding the Évasion and Zeste specialty channels. TVA Group has been a founding shareholder of Évasion, whose programming focuses on travel, tourism, adventure and food, since the channel was created in 2000. Zeste, founded in 2010, is a cooking and lifestyle network. 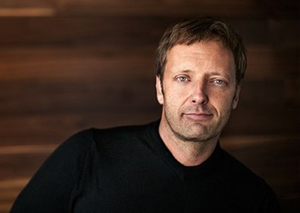 Sébastien Arsenault, president and CEO of Serdy Média inc. says the decision is necessary to sustain growth as independent specialty channels find it increasingly challenging to capture the public’s attention. Convergence Research Group is forecasting that within two years streaming services like Netflix will be more popular in Canada than cable TV. 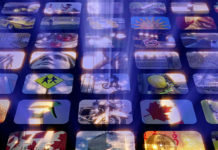 The Battle For The North American Couch Potato: OTT, TV, Online predicts that by the end of 2020, 10.6 million Canadian households will be signed up with streaming services – four per cent higher than the projected 10.2 million who will have traditional TV subscriptions. 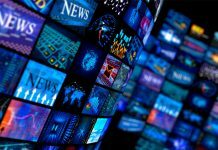 The report also forecasts an annual average decline of 2.6 per cent in Canadian television subscriptions through to 2020. Netflix is teaming up with the Hot Docs Festival to launch the Canadian Storytellers Project – a five-year initiative investing in professional-development opportunities for underrepresented documentarians, including Indigenous, French-speaking, visible minorities, or those with a disability. The program will support 10 fellowships annually for the Hot Docs’ Doc Accelerator program for emerging filmmakers. In addition, the CrossCurrents Canada Doc Fund will support 25-40 independent doc projects from emerging filmmakers over the next five years with grants of $10,000 – $50,000. Applications for the first round of funding will open this fall. 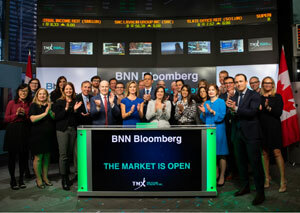 BNN Bloomberg celebrated its launch Monday by opening the Toronto Stock Exchange. Coinciding with the launch, BNN Bloomberg is now available in special free preview until June 28, through television service providers across Canada. Monday also marked the launch of the all-new BNNBloomberg.ca and the BNN Bloomberg app, as well as BNN Bloomberg Radio, available for live streaming through the iHeartRadio Canada app, and locally in Metro Vancouver on HD Radio at 103.5 HD2 and on 1410 AM (CFTE-AM). The Movie Network (TMN) now has exclusive, Canadian, first-window rights for film titles from 20th Century Fox and Fox Searchlight Films; Entertainment One; Sony Pictures Entertainment; Universal Pictures and Focus Features; and Warner Bros. International Television Distribution. As previously announced, Bell Media has also entered into a long-term agreement with Lionsgate to distribute Lionsgate’s future theatrical releases in Canada in a first pay window, and bring the Starz brand to Canada. CBC has announced that Lane Merrifield, the creator of children’s social network Club Penguin, and Vincenzo Guzzo, CEO of Quebec’s Cinemas Guzzo, will join Season 13 of Dragons’ Den. Returning are Arlene Dickinson, Jim Treliving, Michele Romanow and Manjit Minhas, while financier Michael Wekerle and fashion icon Joe Mimran depart the series. Wekerle is leaving to focus on the re-opening of iconic Toronto live music venue El Mocambo, while Mimran will continue to devote his time to Gibraltar Ventures and its invested companies. Gusto is launching new original series Where To I Do? on May 17. Airing Thursdays at 8 p.m. ET/5 p.m. PT, the series is the first to come out of the previously announced partnership between Bell Media Studios and Motion Content Group, and has already been renewed for a second season. 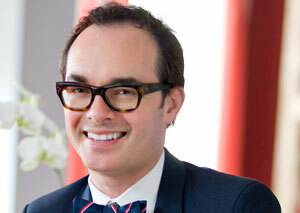 The eight-episode, 30-minute show is hosted by Canadian design expert Tommy Smythe, as he helps couples find their perfect wedding venue. It will also debut this fall in Québec on Canal Vie. Gusto has announced the premiere of new docu-series Dog Tales Rescue on Thursdays at 8:30 p.m. ET/5:30 p.m. PT beginning May 31. Following the day-to-day operation of the King City, ON Dog Tales Rescue and Horse Sanctuary, the 10-episode, half-hour series features sanctuary co-founders Danielle Eden-Scheinberg and Rob Scheinberg as they care and rehabilitate sick, elderly, and abused animals. The docu-series also debuts this fall in Québec on Canal Vie. Netflix has ordered 10 episodes of sci-fi drama Another Life, to be produced by Halfire Entertainment (Alias Grace). Starring Katee Sackhoff (Battlestar Galactica, The Flash) as an astronaut leading her crew on a mission to explore the origins of an alien artifact, the series will start production in Vancouver this summer. CBC Sports has announced coverage plans for the 2018 IAAF Diamond League series, the second season in CBC Sports’ three-year deal for the Canadian multiplatform broadcast rights. The 2018 season includes 14 invitational one-day track and field meets taking place across Asia, Europe, Africa and North America over the course of four months. Beginning with the first event in Doha, Qatar, on May 4, CBC Sports will provide live-streaming coverage of every meet at cbcsports.ca and via the CBC Sports app, while television coverage will be featured as part of CBC Sports’ weekend staple Road To The Olympic Games. Radio-Canada Sports will also offer live-streaming coverage of every meet. Global Montreal has announced the second annual Greater Montreal Day on May 10, encouraging Montrealers to perform random acts of kindness and post their good deeds on social media with the hashtag #GreaterMontrealDay. Among those supporting the event this year are Montreal Mayor Valérie Plante, hockey legend Guy Carbonneau, Montreal Olympic icon Nadia Comăneci, The Bachelor star Vanessa Grimaldi and MSO conductor Kent Nagano. CBC is embarking on a nationwide search for Canada’s Smartest Person Junior (6×60). 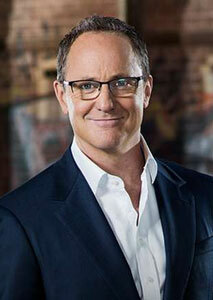 The new CBC competition series, taped in front of a studio audience, will premiere this fall. Based on the Canada’s Smartest Person format and produced by Media Headquarters, the competition will crown one young Canadian with the first ever title of Canada’s Smartest Person Junior. Canadian kids, aged 8-12, can apply at cbc.ca/smartestpersonjunior until June 30. The Digital Publishing Awards (DPAs) have announced 2018 nominees for their 3rd annual awards program, recognizing excellence in the content and creation of Canadian digital publications. This year, 79 publications submitted entries in 23 categories. The top nominees are The Globe and Mail, CBC, Hakai Magazine, Today’s Parent, Chatelaine, Hazlitt, TVO.org, VICE Quebec and the Winnipeg Free Press. 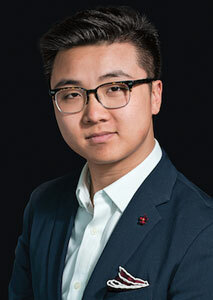 Gold, Silver and Honourable Mention awards will be presented at the Digital Publishing Awards soirée on May 29 at One King West in Toronto, hosted by Adrian Lee, opinions editor for Maclean’s. Gold winners in most categories include a $500 cash prize. Tickets are on sale at digitalpublishingawards.ca. Village Media continues to expand its network of media outlets across Ontario with the launch of independent news site BradfordToday.ca. Focused on Bradford West Gwillimbury, BradfordToday is now the ninth Village Media-owned site, and the 15th site running local news on its platform. 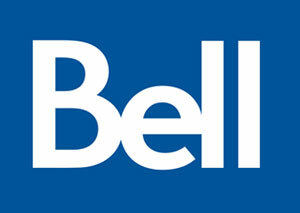 Bell has announced its rolling out all-fibre broadband network to 28,000 residences and businesses in The Municipality of Clarington. Fully funded by Bell, the Clarington broadband network expansion is part of its (FTTP) network expansion to more than 1.3 million homes and business locations in the GTA/905 region surrounding Toronto. NBCUniversal International says it plans to introduce Hayu, a subscription VOD service focused on reality TV, to Canadians by the end of the year. The streaming service features series like Keeping Up With the Kardashians, The Real Housewives and Million Dollar Listing. It’s already launched in Ireland, Australia and Scandinavia. 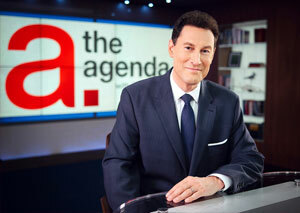 Steve Paikin has been cleared after an investigation found sexual harassment claims against the TVO host are unsubstantiated. Independent investigator Rachel Turnpenney says in her report that while there is no doubt that accuser Sarah Thomson believes Paikin propositioned her, the evidence does not support her account of what happened. 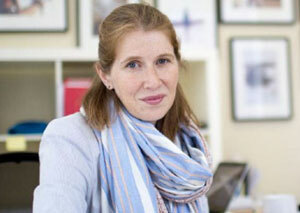 TVO commissioned the investigation in February after Thomson, a former Toronto mayoral candidate, alleged on her website that Paikin made sexual advances over lunch in 2010 and that after she declined was barred from appearing on his show. 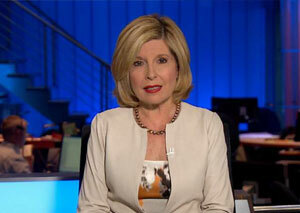 Sandie Rinaldo is this year’s recipient of the RTDNA Canada Lifetime Achievement Award for Network Programming. Rinaldo, who has spent 45 years as a journalist with CTV News, will be presented with her award during the Awards Gala Dinner on May 26 at the 2018 National Conference & Awards Gala. Kevin Newman will receive the RTDNA President’s Award on May 25 during the 2018 RTDNA National Conference & Awards Gala. 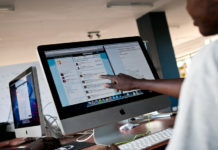 The President’s Award, the highest honour bestowed by the association, acknowledges an individual who has brought recognition and distinction to the field of electronic and digital journalism. The early bird registration deadline for this year’s conference, taking place May 25-26 at the Toronto Sheraton, has been extended until May 4. Journalists for Human Rights (JHR) will receive the 2018 RTDNA Bill Hutton Award of Excellence. Formerly known as the “Friend of RTDNA Canada Award” the award was renamed in 2009 to honour the late Bill Hutton, RTDNA Canada’s first president. The award is given to individuals or organizations who have shown a true commitment to RTDNA and the betterment of journalism in Canada. The award will be presented to Rachel Pulfer, Executive Director of JHR, at the President’s Reception on May 25 during the 2018 RTDNA National Conference & Awards Gala. The Atlantic Journalism Awards (AJAs) were handed out in Halifax Saturday night with VOCM St. John’s, NL taking home the honours for Best Radio Newscast. CBC NL won gold for Best Television News Broadcast. Brett Ruskin from CBC Halifax took home gold for Best Video Journalist, while the award for Best Feature Writing: Radio went to Elizabeth McMillan from CBC NS. Find the full list of winners here. 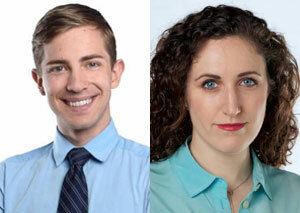 The Canadian Journalism Foundation (CJF) launches the inaugural World News Day on May 3 in Toronto with an event featuring testimonials from citizens alongside the journalists who told their stories. Hosted by The National co-host Ian Hanomansing, journalists featured include Robyn Doolittle, investigative reporter with The Globe and Mail; Mark Kelley, co-host of CBC’s the fifth estate; Kevin Newman, host and managing editor of CTV’s W5; Avery Haines, investigative reporter with W5 and Jane Lytvynenko, reporter with BuzzFeed News, among others. The event will also feature an audience “ask-me-anything” session with Richard Gingras, vice-president of news for Google. The event will start at 6 p.m. in the CBC – Barbara Frum Atrium. Register to attend. The Jim Pattison Broadcast Group has opened its 2018 Prairie Equity Scholarship competition aimed at broadcast students from the prairie provinces who are part of underrepresented groups, including indigenous peoples, those with disabilities, visible minorities and women. This year, two $2,000 awards will be made to residents of Alberta, Saskatchewan or Manitoba who in 2018 are attending or planning to attend a recognized broadcast program in one of those provinces. 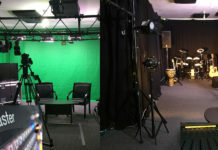 Application packages can be found on the websites of the prairie stations of the Jim Pattison Broadcast Group, or through prairie post-secondary institutions. Deadline for applications is Oct. 5. 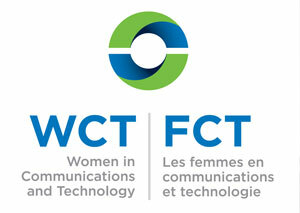 Women in Communications and Technology (WCT) and the Information Technology Association of Canada (ITAC) will host three events in Calgary on May 10-11. The Women in Leadership event features a speakers’ series open to men and women of all career levels, an invitational roundtable to address women’s participation and advancement in the digital economy and a Board Discovery Day aimed at increasing the number of women serving on boards of directors. The initiative is being undertaken through a partnership with the Province of Alberta with federal funding through the Canada-Alberta Job Fund. Another event will take place in Edmonton in September. 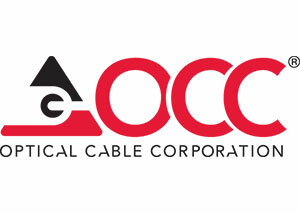 Optical Cable Corporation (OCC) is introducing a new line of SMPTE cables and enclosures. 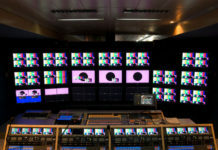 As the demand for 4k content grows and with the promise of 8k resolution on the horizon, the new line is engineered for high-bandwidth, low-signal-loss enabling quick and frequent camera movement, with compatible cables that can transport three camera signals in one location with only a single cable run. The new OCC line also includes a selection of modular enclosures specifically designed for SMPTE 304 or other commonly used broadcast connections.